Please complete our online welding grade PVC screen enquiry form or contact us directly to discuss your requirement and for a price. Our made to measure welding grade PVC screens are manufactured to suit your unique requirements. 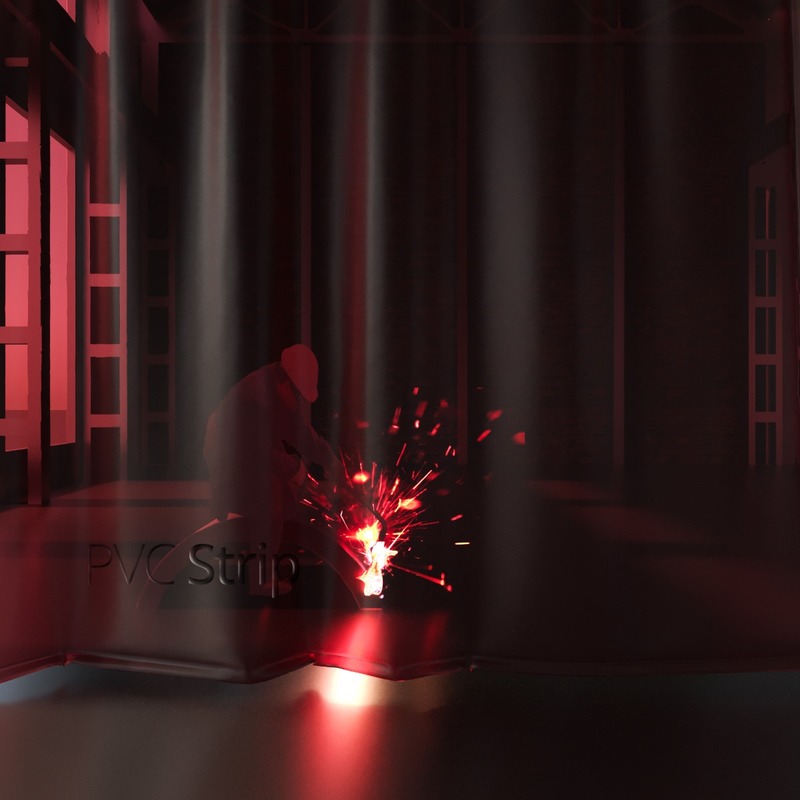 The welding screens are manufactured to reduce the risk of accidents associated with welding environments, offering extended protection and safety for workers. Our made to measure PVC screens are naturally dark in colour, however, will allow light to pass through while filtering the harmful UV rays, allowing workers to be observed while welding, protecting other members of staff in the environment and maximising space by creating the opportunity for multiple welding bays in one area. Our welding grade PVC screens are manufactured and installed in welding environments to improve safety and protection for workers and to maximise space in the area, improving overall productivity. We only use high quality welding grade PVC offering the ultimate protection against harmful UV rays. We offer an option of red, bronze or green – the PVC is naturally dark in colour, however, when light radiates behind the screen, visibility is improved allowing workers to be observed without risking harm from dangerous UV rays. The PVC screens are manufactured to suit either a sliding track suspension system (requires fixing across the entire width) or tension wires and clips. The screen can be fully retractable when not in use and we can include eyelets for fixing along the top and sides, access points, weighted bottoms and Velcro seams to ensure you achieve the optimal solution for your application. Our welding grade PVC screens are manufactured to order and we need to understand your exact requirements prior to offering a quotation. Do you require any access points, weighted hems or Velcro seams? All technical specifications are available for download in our information centre. PVC Screens will get dirtied over time and should occasionally be wiped down with warm, soapy water. Do not use chemicals to clean this product as they can react and cause clouding of the PVC. Ensure the screen is left hanging whilst being cleaned as if the Welding Grade PVC Screen is left in water, it can cloud over time.